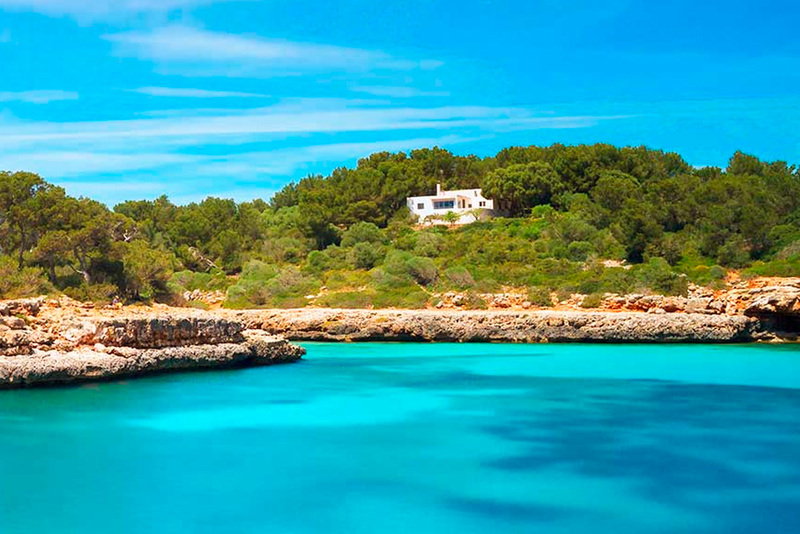 The eastern coastline of Mallorca is not only the furthest part from the country, but also the most unkown part. With over 60 kilometers of roads, from Cala Mesquida to Ses Salines, you can enjoy clear water along the way, what is a draw for explorers and tourists interested in natural areas. 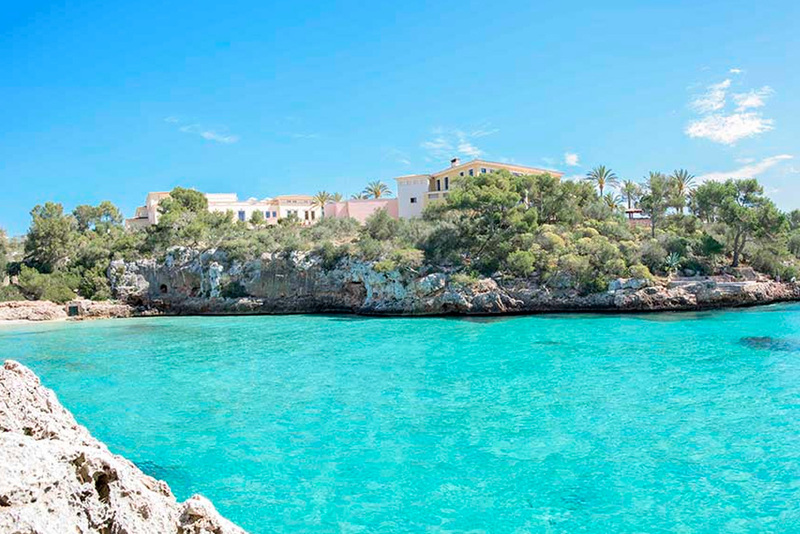 Cala Ferrera is a quiet little beach , easy to access and child friendliness, with all services. Distance from Mar Hotels Ferrera Blanca: 2 minutes walk. 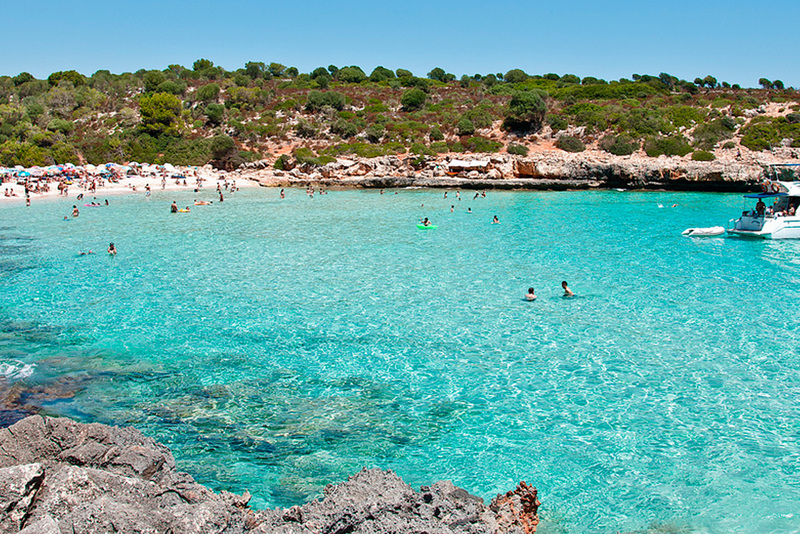 A natural spring flows into the sea and it makes Cala sa Nau be one of the most special beaches on the island. There´s a free parking located 500 m from the beach and a stone stair to go down. This is the largest beach and with easy access in Felanitx. You can park only a few meter from the sand. Distance from Mar Hotels Ferrera Blanca: 10 km / 15 minutes by car. Surrounded by a housing state which takes its name from, has a quiet mood and there are a lot of families who spend their holidays in this area. This is a little beach with fine sand and all services: sun chairs, bar, parasols and showers. The beach is surrounded by natura and with slight slope. 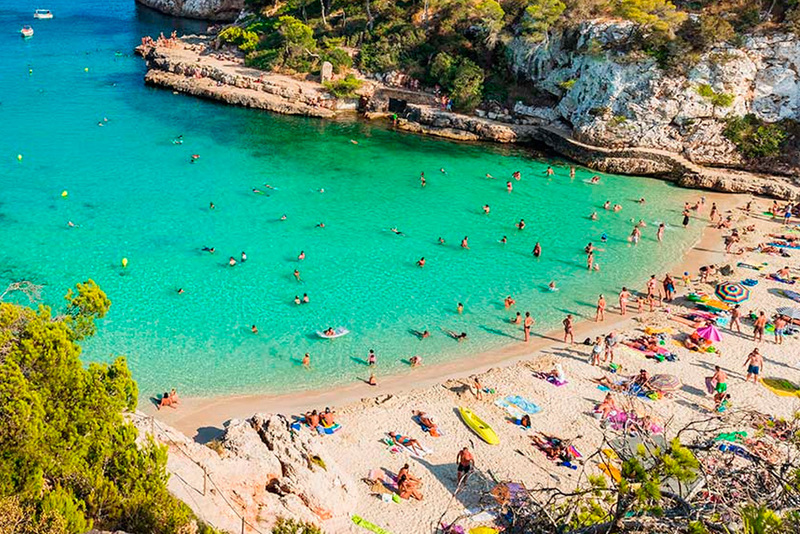 This is the most popular beach of unspoilt coastal sandbaks in this area, which include Cala Pilota, Cala Magraner, Cala Sequer and Cala Varques. It is the largest with 80 meters and with a nudist area. With fine sand, people arrive swimming from other beaches or walking by a pathway. Distance from Mar Hotels Ferrera Blanca: 20 km / 32 minutes by car + 15 minutes walk. This cosy 4 star all-inclusive hotel with extensive gardens and direct access to the Ferrera cove is situated in one of the most beautiful places in the Mediterranean. Santa Maria del Mar (August 1st-20th): Festivities in honour to Santa Maria del Mar, patron saint of Cala d´Or with activities for entire famiy, sports competitions and musical shows. Cala d´Or International Jazz Festival: Since 15 years, this festival is organized annually to fill streets with music during a week in June. Live performances with domestic and foreign artists. 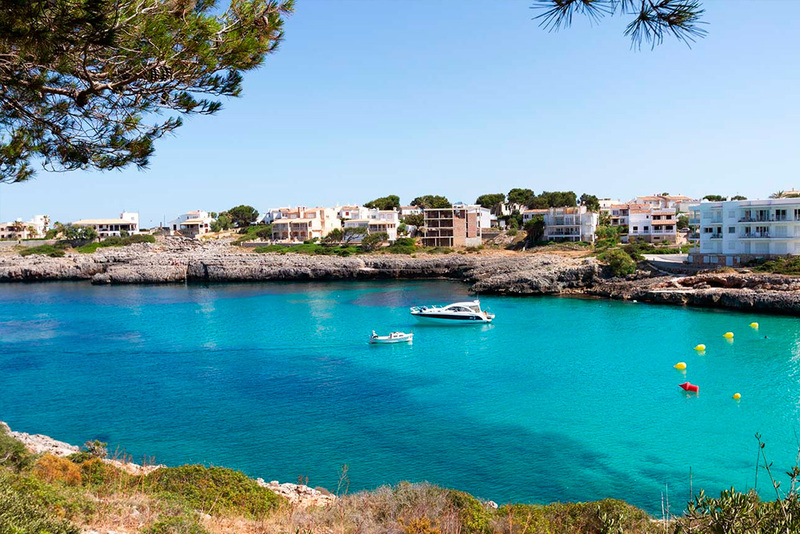 Porto Petro (4 km from Mar Hotels Ferrera Blanca): An attractive fishing village just along the coast of Cala d´Or. Its unseasonal tourism trend lets you enjoy opened restaurants throughout the year. Natural Park Mondrago: One of th most visited natural parks in Mallorca and located a few 7 kms from Mar Hotels Ferrera Blanca. Caves of Drach (24 kms from Mar Hotels Ferrera Blanca): a must if you are visiting the island. Caves of Drach are a natural space with a classic musical concert and a tour around the amazing cavities.